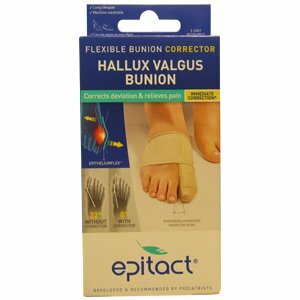 Wearing the Epitact Flexible Bunion Corrector helps to correct the deformation and limits the development of the bunion. Thanks to its patented design with EPITHELIUMFLEX® technology, the ultrathin and lightweight corrector is able to fit comfortably in any shoe. 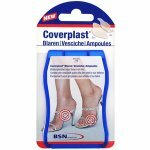 Can be worn on either left or right foot. If you are unsure between two sizes, choose the smaller one. Insert the forefoot in the strap, then put a hood on the great toe. Place the Epithelium™ patch behind the bunion. On the first day, do not try to straighten the great toe. Over 10 days, progressively straighten the great toe by pulling the device backwards. The device should be worn daily for maximum efficiency. 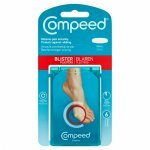 The corrector should not be used if the big toe can no longer move laterally. 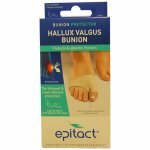 In this case, choose the Epitact Bunion Protector. Do not use on injured skin. Do not use this product overnight. If you suffer from arteritis, diabetes, lower limb neuropathy or ulcers, seek advice from your doctor or podiatrist before use and then regularly monitor your foot. 58% Silicone, 42% Polyamide/Elastane Fabric.